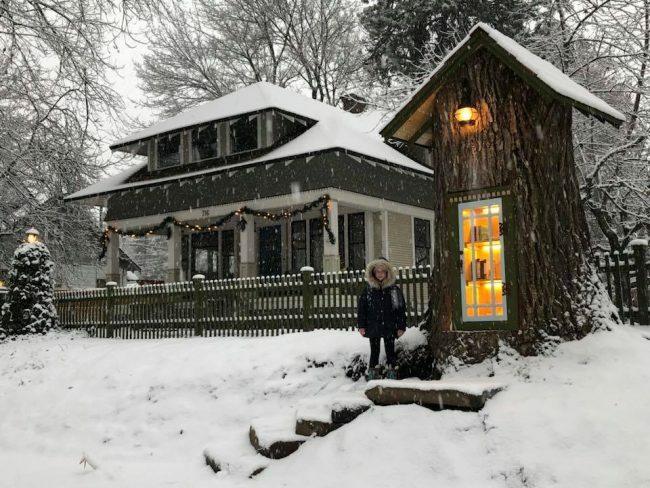 A 100-year-old dying cottonweed tree was transformed into a lovely “little free (tree) library” by an Idaho artist, who decided to turn it into something all neighbors will enjoy, instead of cutting it down completely. Sharalee Armitage Howard was concerned about the tree, as it could easily become dangerous, so she decided to do something creative with it. 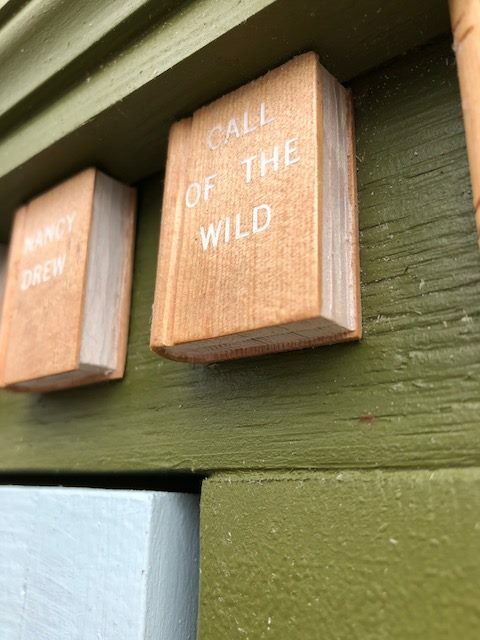 The “Little Free (Tree) Library” is open to anyone who would like to take a book, and the rules are very simple: you can share a book or take a book. 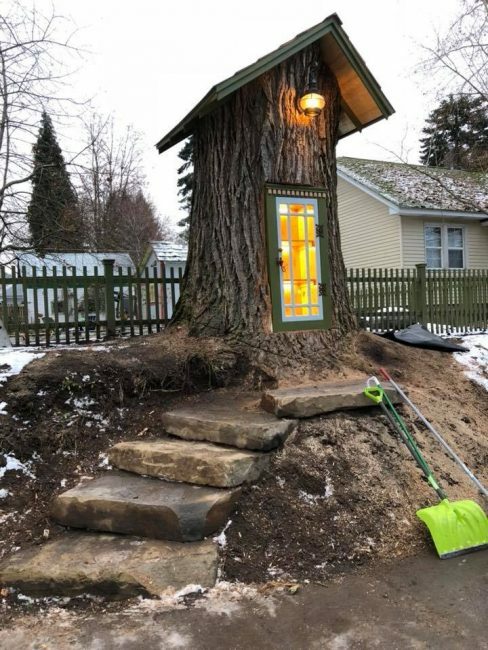 This transformed stump has an incredible design, with a porch light, a little roof and steps up to a glass door that swings open to the illuminated bookshelf inside. 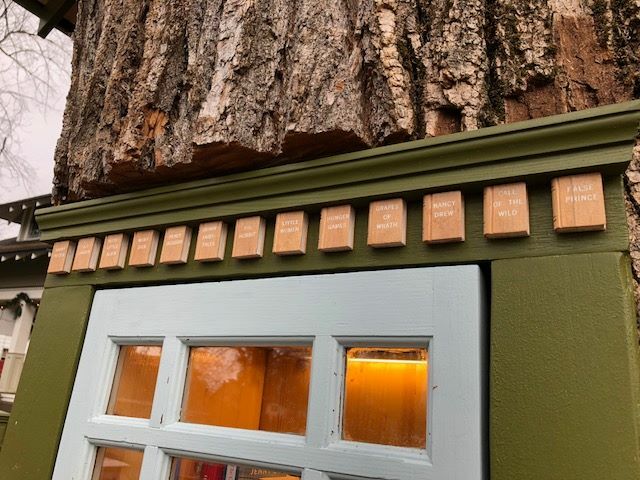 It also has a molding above the door, made of little wooden books. In a Facebook post, this artist revealed her idea to plant groundcover and “cheerful perennials” in the spring. “We had to remove a huge tree that was over 110 years old, so I decided to turn it into a little free library (which I’ve always wanted). Here it is (minus some cleanup, vegetation, and trim work)! Art (in any form) quite simply make the world a cooler place to live in”.